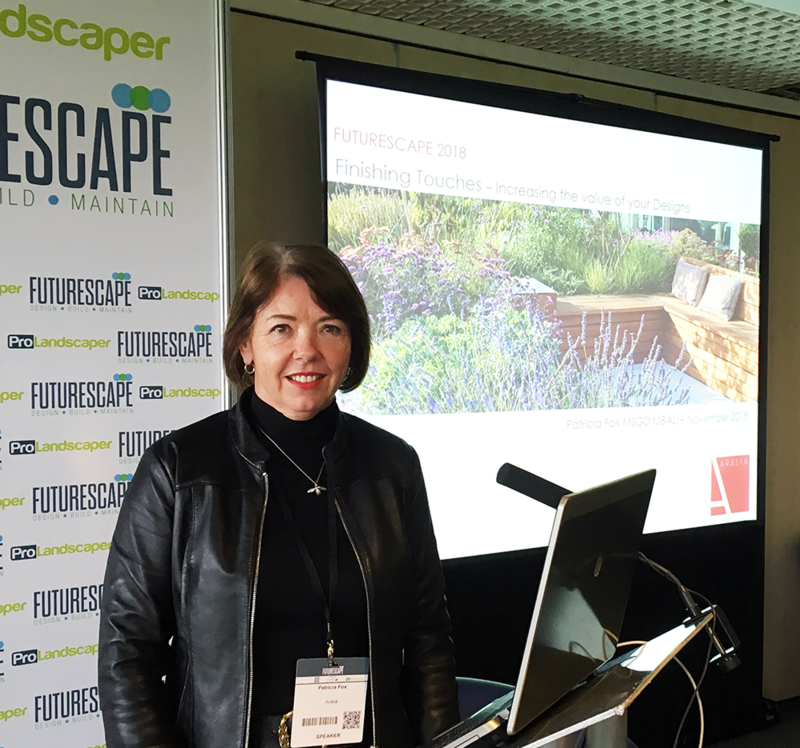 ‘I was at Futurescapes yesterday and saw Patricia’s presentation – she did an outstanding job – really smooth and it just flowed. 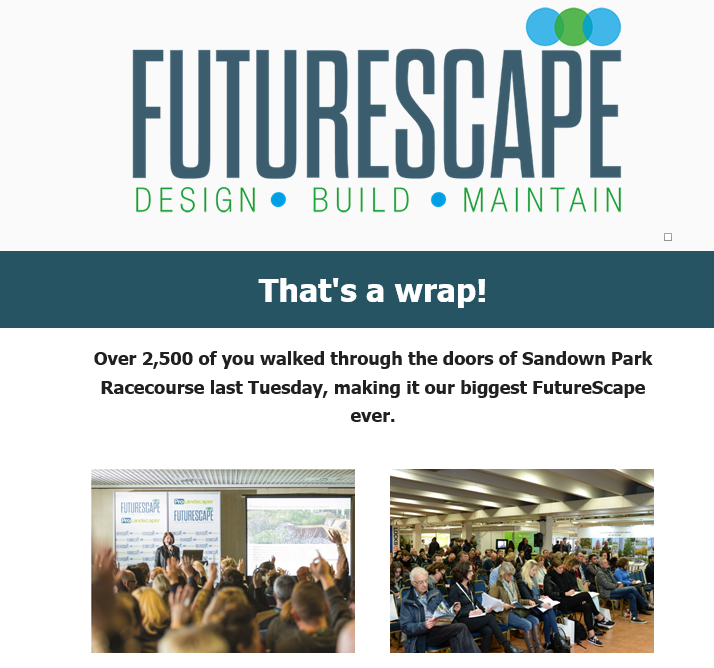 ‘ – Brad Carpenter of Solus Decor Inc.
Over 2500 industry professionals attended the event, which is one of the leading conferences for the horticultural sector in the UK. Aralia were pleased to be invited as one of the leading and most influential design practices in the country, and to able to share our ideas, experience and insights with designers, contractors and suppliers across the UK in this way.